“Squamish’s very own Downtown Business Improvement Association just procured some new real estate. And no, it isn’t nestled anywhere near the scenic mountains or the endless lush of boreal forest. It’s online, and with the launch of our dynamic new website! Our collective business know-how and our tireless efforts to promote Downtown Squamish just got a whole new audience. 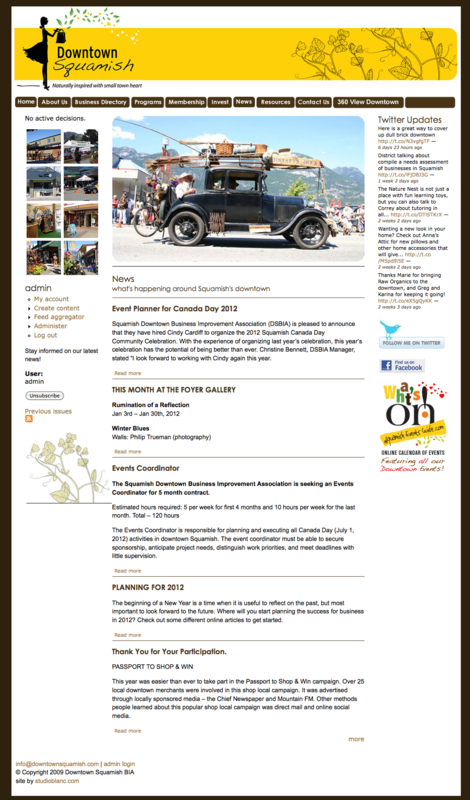 downtownsquamish.com was developed with a cms, Drupal system for ease of updates by the SDBIA members.